Y'all, I went to Micheals the other day to simply buy a sharpie (Coupons for the win! 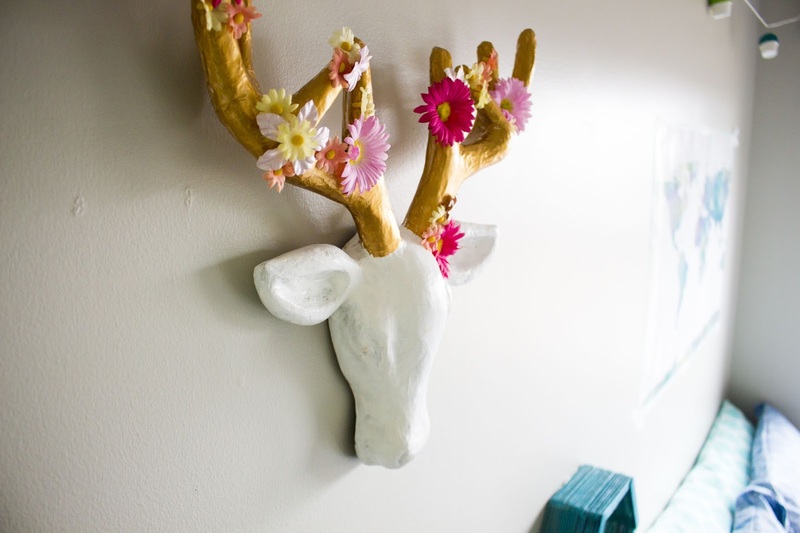 ), but as soon as I walked in the door I saw this beautiful paper mache stag head staring right at me! 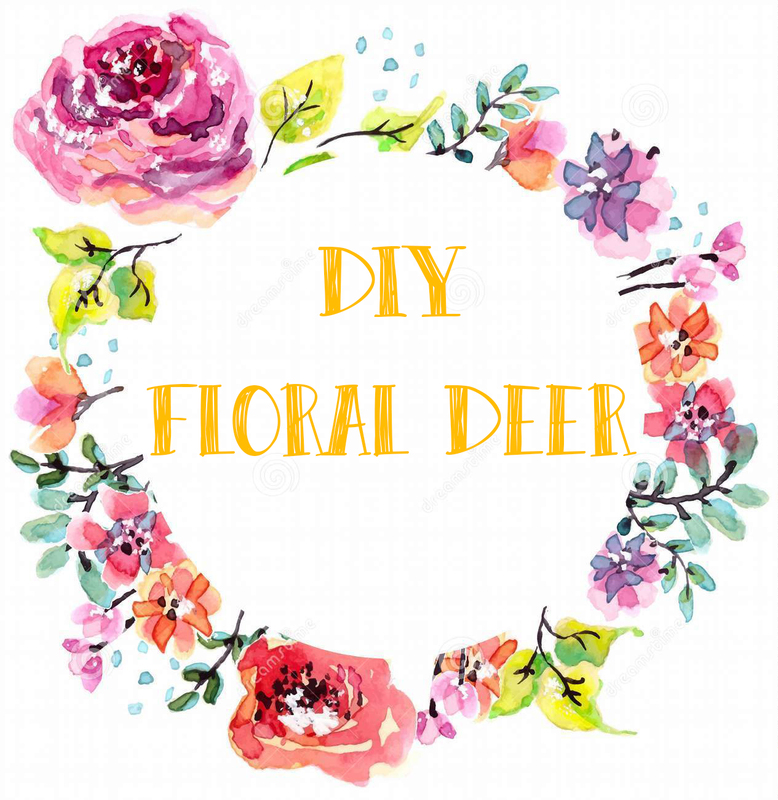 I've wanted to DIY a floral stag head for so long! I hadn't been able to find So did I impulsively buy it? Why yes, yes I did. 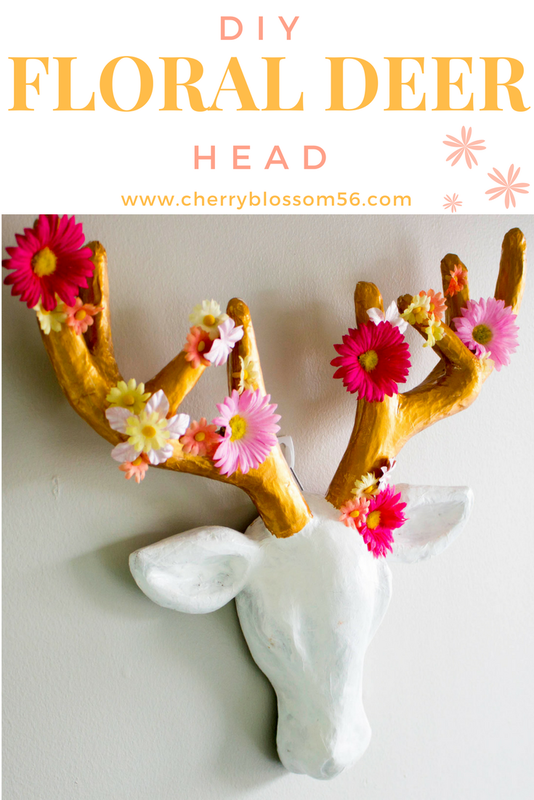 Honestly, this floral stag head is the perfect wall decor! It's interesting, pretty, and DIY'ed. Is there a better combination? I think not. 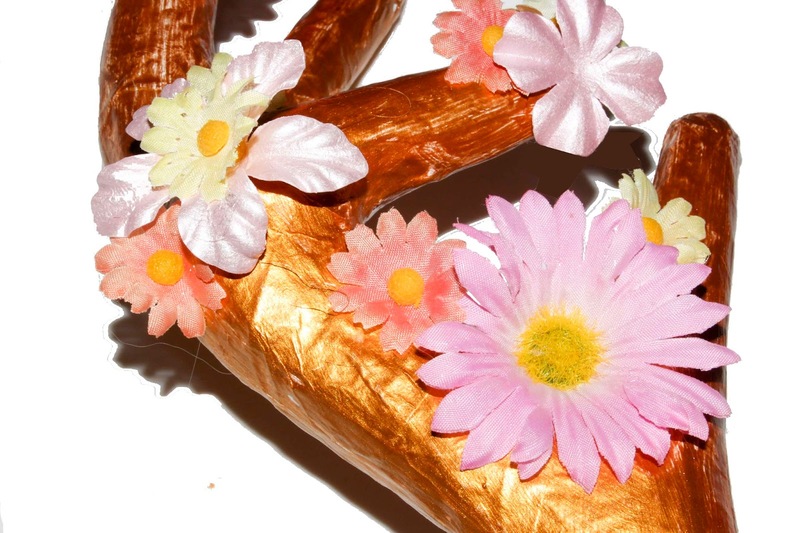 If y'all are as excited about this DIY as I am, let me know below in the comments! 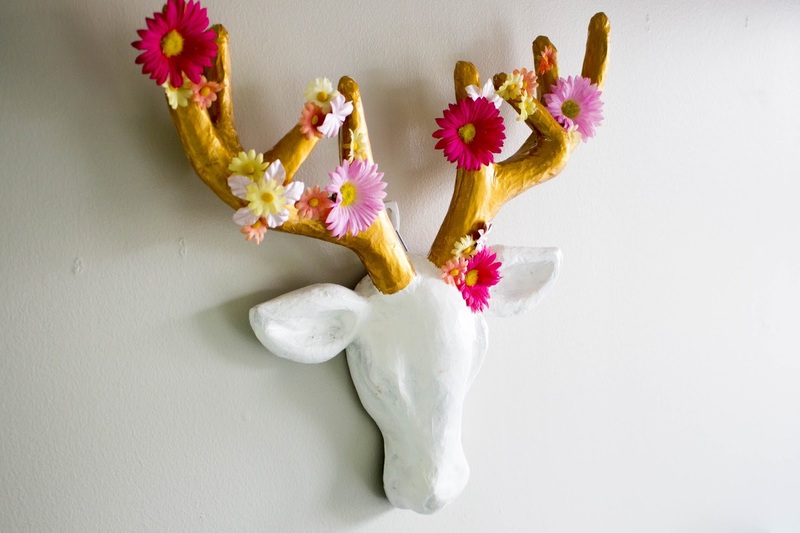 Heck, send me photos of your finished stag heads!! I'd love to see! 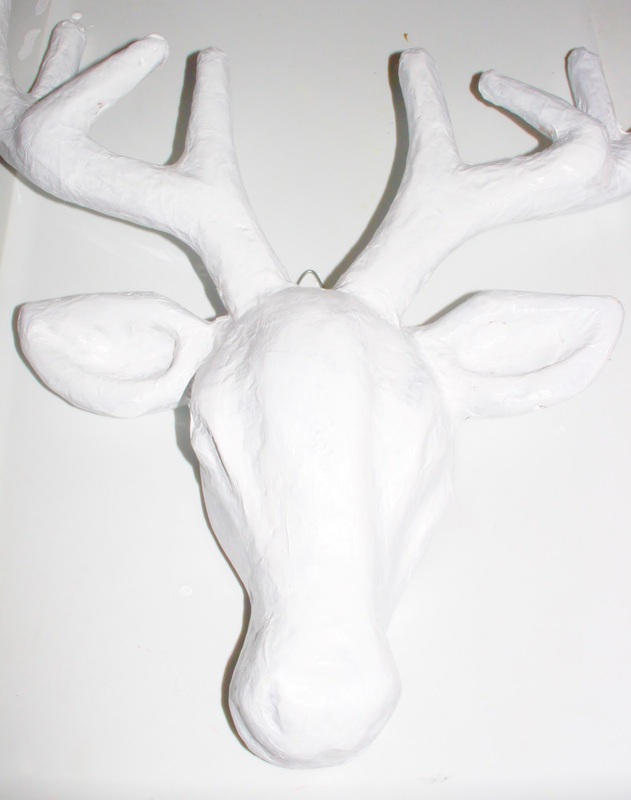 First, paint the head of the stag white. 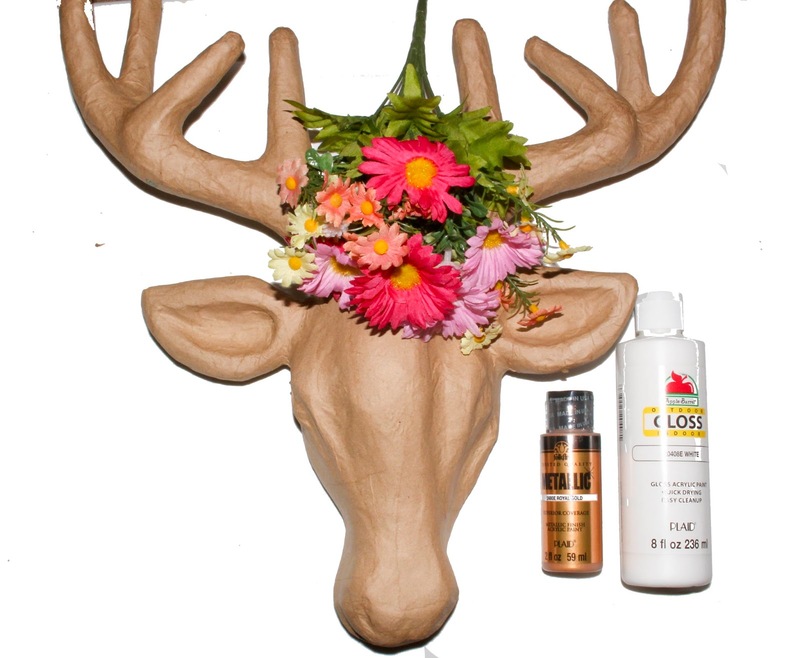 Make sure to paint the antlers as well if your stag head was originally brown like mine. I suggest doing about 3 coats of white paint. 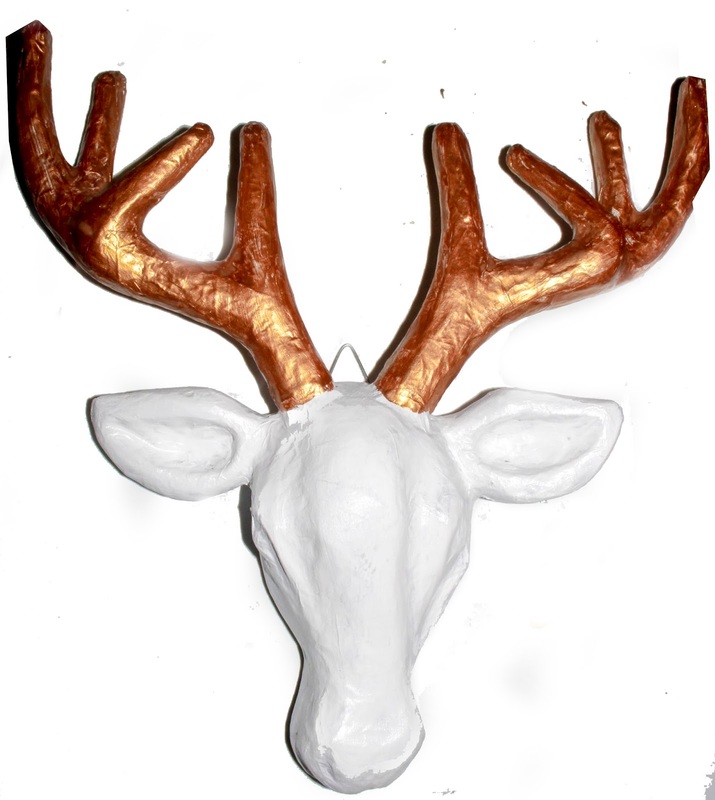 Once the white has dried, paint the antlers gold. Again, 3 coats should do the trick! 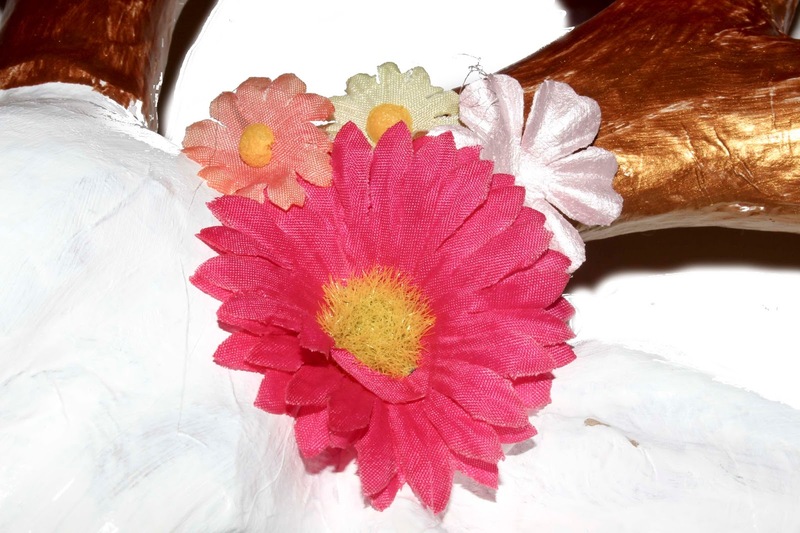 Now, take your fake flowers and carefully hot glue them along the antlers. The placement of the flowers is completely up to you!